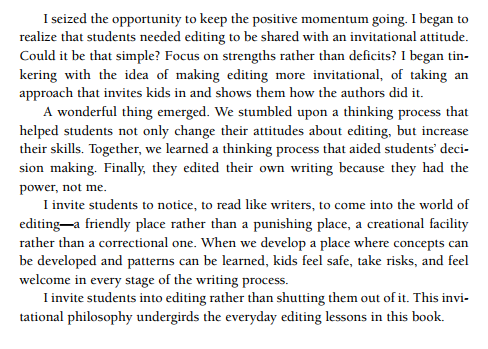 In Jeff Anderson's book, Everyday Editing: Inviting Students to Develop Skill and Craft in Writer's Workshop, students are invited to notice the qualities of good writing in mentor sentences in order to develop their own quality sentences. This process is known as sentence imitation. 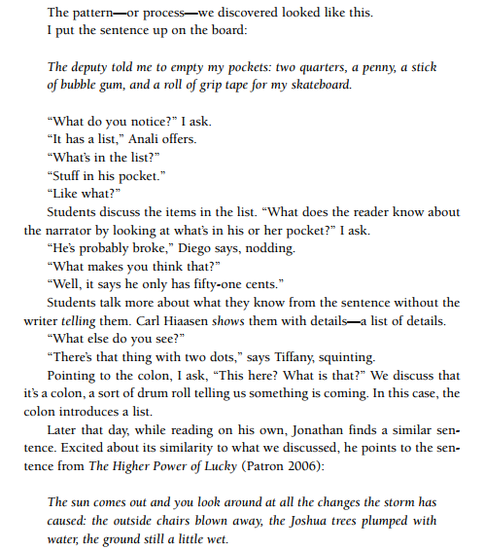 Sentence imitation begins with selecting a mentor sentence for the student writers to imitate. A mentor sentence is a sentence (typically written by a published author) purposely selected to demonstrate conventional grammar skills and writer's craft. Through analyzing a mentor sentence, student writers can identify what makes quality sentences. Students can then write their own sentences mirroring those qualities. In this way, students learn how to use structure and style to improve their sentence fluency. Writing fluently is a challenge, as it requires one to evoke everything he or she knows about a language in order to find an optimum approach for a piece. 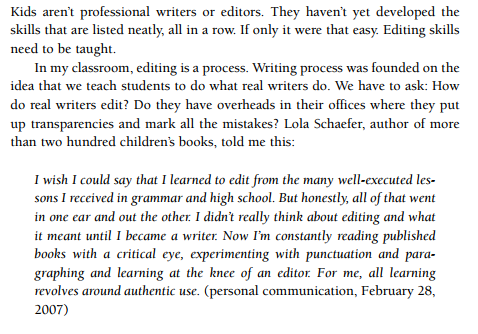 In other words, fluent writing is comprised of the many qualities: Crafting well-built sentences, varying sentence type, capturing smooth and rhythmic flow, and breaking the "rules" to create fluency (Culham, Blasingame, & Coutu, 2010). 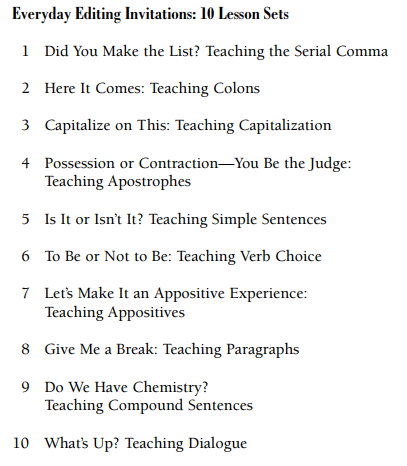 Anderson provides 10 detailed lesson sets containing mini lessons for writing with structure and style. Each mini lesson builds on the previous one, giving students an opportunity to learn and practice writing skills in an organized manner. Detailed lesson steps are available in his book, which can be accessed here. Anderson, J. (2007). 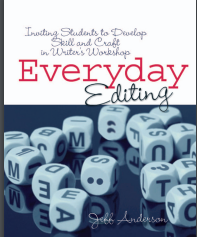 Everyday editing: Inviting students to develop skill and craft in writer's workshop. Portland, Me. : Stenhouse. Culham, R., Blasingame, J., & Coutu, R. (2010). Using mentor texts to teach writing with the traits: Middle school. New York: Scholastic. Want to get your feet wet, first? Give these sample lessons a try!